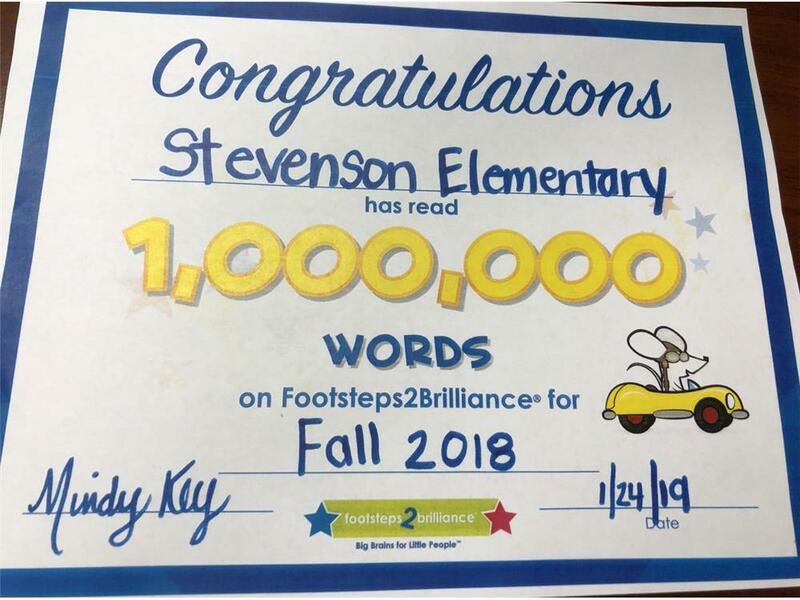 A BIG Panther shout-out to the students, teachers, administrators and families at Stevenson Elementary for reaching a HUGE milestone in reading! These students have read over One Million Words since school started on the Footsteps2Brilliance literacy app! This is cause for a celebration and recognition of our Panther readers. Catherine DeRosa from F2B trained many of our teachers in their classrooms this past fall on how to use the app in a classroom setting. Students have been reading on the literacy app “Footsteps2Brilliance” as well as creating stories in their classrooms. Mindy Key is Outreach Coordinator for Russellville Independent Schools.